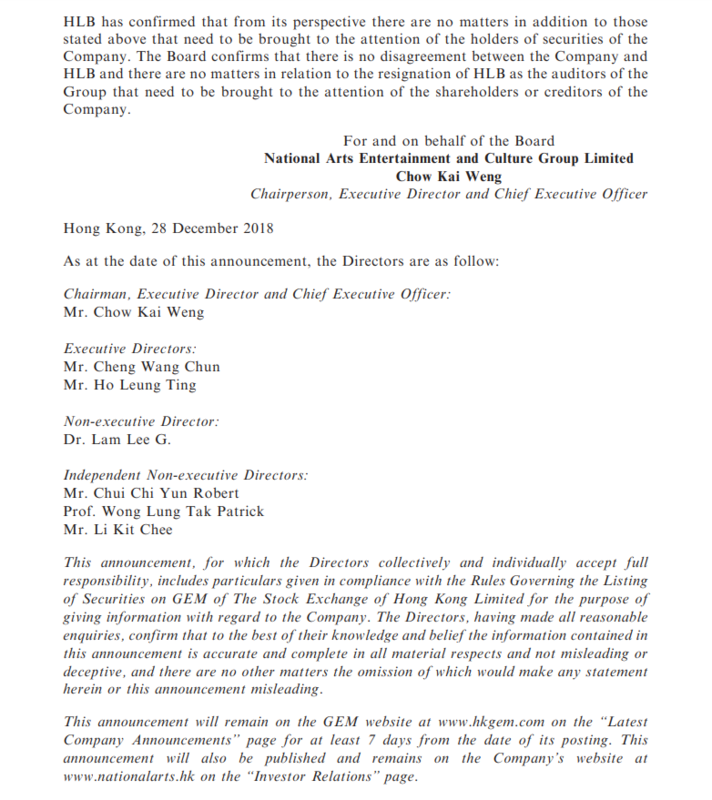 Elite Partners have been appointed as an Auditor of National Arts Entertainment and Culture Group Limited (Stock Code: 8228). 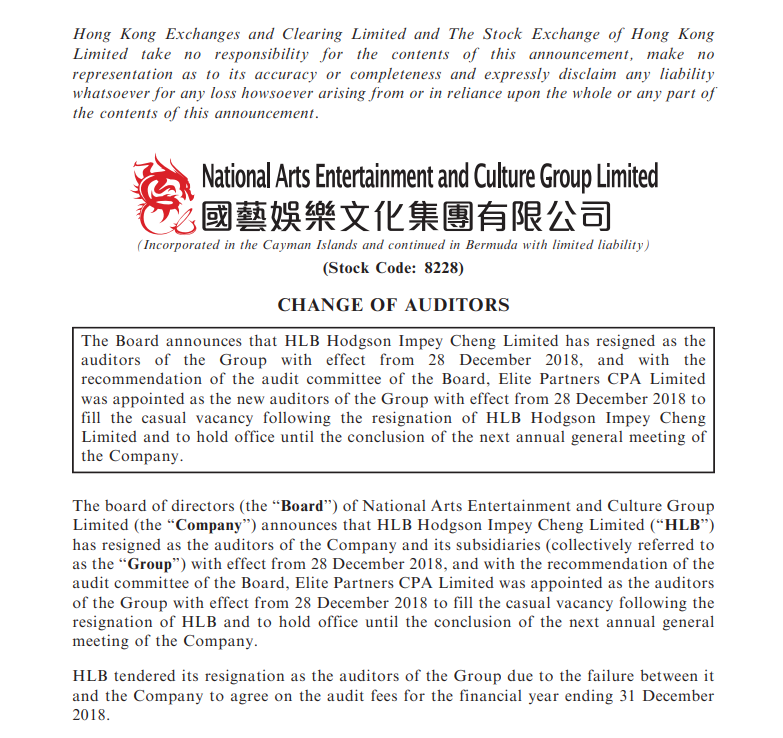 The board of directors of National Arts Entertainment and Culture Group Limited announces that HLB Hodgson Impey Cheng Limited has resigned as the auditors of the Group with effect from 28 December 2018, and with the recommendation of the audit committee of the Board, Elite Partners CPA Limited was appointed as the new auditors of the Group with effect from 28 December 2018 to fill the casual vacancy following the resignation of HLB Hodgson Impey Cheng Limited and to hold office until the conclusion of the next annual general meeting of the Company. Copyright © Elite Partners CPA Limited.